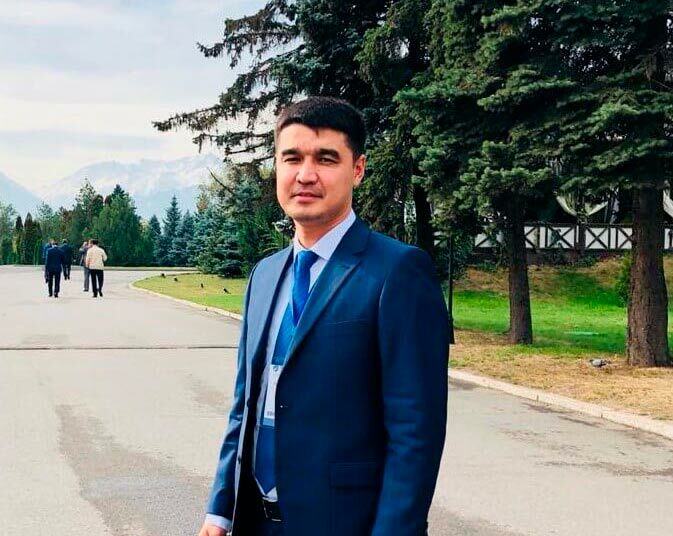 Graduate of International Kazakh-Turkish University named after Khoja Ahmed Yasawi, Bachelor degree of finance, Master degree of economic science and had a long way in financial organization which founded by Americans, he became a director this organization. At the moment he is General director of Centech. CENTECH expanded the production thrice. CENTECH is engaged in the production of metal and electrical products for cabling, which are designed for a variety of construction purposes. The company also produces all kinds of low-voltage electric switchboards, control panels and cable trays and has an international certificate of conformity for the products of “ electric switchboards” according to the standards of IЕС-61439-1. The company was founded in 2013, the first production began in 2015. During this short period it was possible to raise the quality and production to a good level. After all, it is not an easy task to be a qualified supplier of large oil production operators and supply them with their products through General contractors. To do this, it is necessary to go through many procedures to meet the strict selection criteria and to prove to be a bona fide contractor. This is a long and complex process that not all companies can go through. But despite all the requirements and difficulties CENTECH was able to achieve positive results. Today it is recognized, work with it, trust it. At the time of formation the company had one workshop and a warehouse. In the first half of 2018, the company completed the construction of the fourth workshop. The expansion of the company thrice compared to what was at the start of the plant is an achievement. At the same time, the volume of production increased by 280%. Today the company has such production facilities as welding and painting shop, production shop, assembly shop and warehouse. CENTECH continues to increase production capacity with state-of-the-art computerized equipment, where human labor participation is minimized. Through the improvement of programming processes the development of production is monitored. Today in different segments of the oil related services there are more than 1000 enterprises: both domestic companies and foreign ones. In Kazakhstan, the world’s largest service companies operate, which allows them to adopt their work experience and standards of doing business, quickly overcoming the hurdle in the training of personnel for the modern conduct of processing using sophisticated technologies. Moreover, the technologies are developing so quickly that if you do not have time today, tomorrow can be late. At the same time, the indicator of local content in the company’s products is almost 100%. For example, cable trays are 99.9% the product that produced in Kazakhstan, as the content in them steel sheets are bought in Temirtau of Kazakhstan manufacturers of local raw materials. Companies often offer raw materials imported from border countries for favorable prices, where you can save more only on sheets. However, in this case, the principle of local content will be violated, and even the development of Kazakh producers will be in question. Everyone knows that many imported goods are cheaper than local ones. That is why the government created a program to support local manufacturers. And the company “СЕNТЕСН” supports this concept. The customer of this project is the construction company GATE. This company is a regular customer of CENTECH LLP. Since June 2016 to the present, various projects have been implemented with GATE, and orders such as electrical switchboards, cable trays and accessories for the Tengiz field are manufactured and supplied. Last year, СЕNТЕСН worked on a large project, the customer of which was KSS, a technology-oriented company in the field of supply and construction design. Cable trays and accessories were ordered in large quantities for Atyrau Oil Refinery. A large-scale project, the customer of which was the company CCC, for which cable trays and accessories were manufactured and delivered in October 2016 to the Tengiz field. The customer was an Italian company Sicim, specializing in construction in the oil and gas industry. A large project related to the delivery of electrical distribution panels and cable trays was completed. СЕNТЕСН successfully coped with the task. The customer was the largest construction company of Mangistau region and the region of Western Kazakhstan “Munaigazkurylys” LLP, which specializes in complex arrangement of oil and gas fields, industrial and civil construction. The СЕNТЕСН delivered in “Munaigazkurylys” cable trays in the shortest possible time.